These are structure's made from A-grade, mild steel that consist of handmade ornaments, shapes & designs. These are more expensive than standard mild steel products as it takes a lot of time & skill to hand make mildsteel into a certain design. 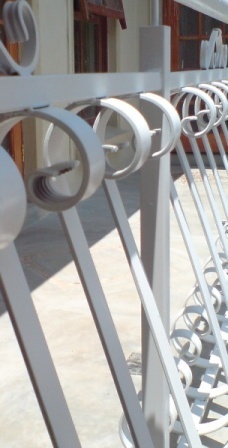 Wrought Iron Balustrades doesn't have a limit in design, we can make anything your heart desires.